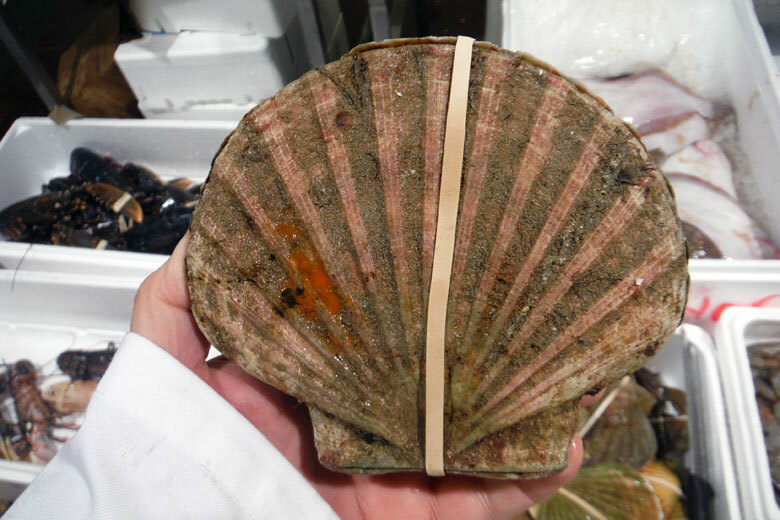 Red mullet, grey mullet, salt-and-honey-cured roe, chinchard, and more gloriously super-sized scallops, fresh in from the west coast of Scotland, are our pick of Billingsgate this week. 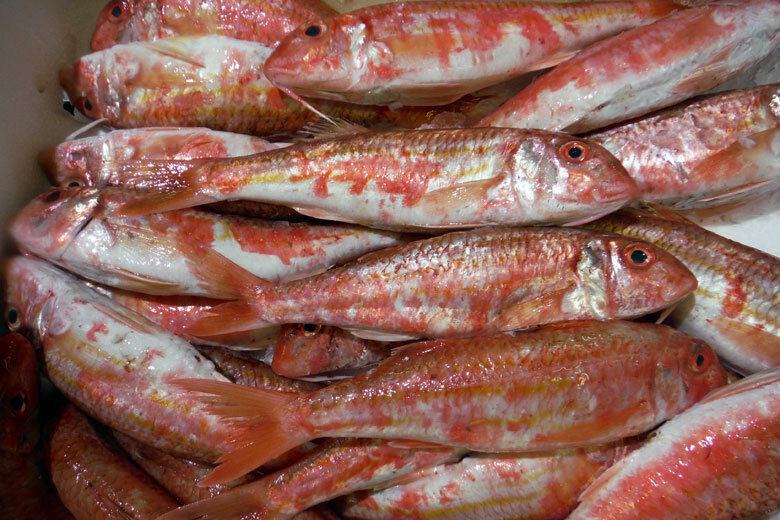 Here at Billingsgate market we are still getting good supplies of small red mullet (pictured above) from the south coast and the French Channel fisheries. 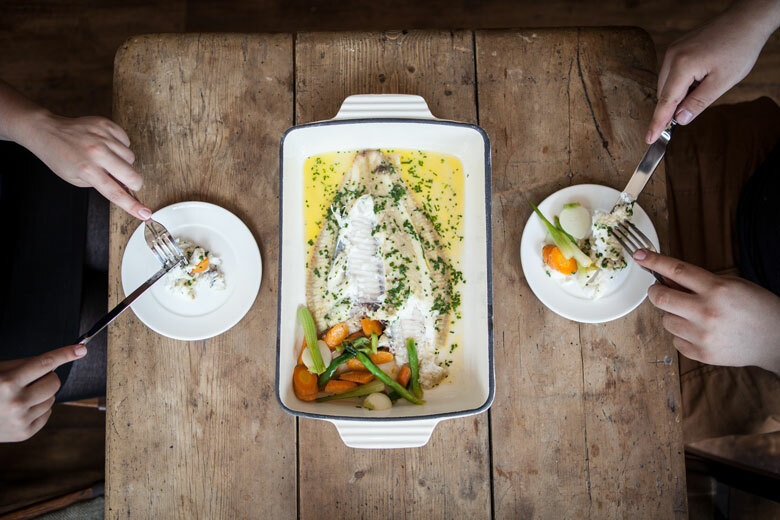 Small and brightly coloured, they are very tasty and can be prepared easily in a number of ways: baked, braised, steamed and pan-fried are all popular restaurant methods. The season for these will finish at the end of November, so if you haven’t had the opportunity to try these yet, then there is no time like the present. As one species fades there is always another in the ascendancy. 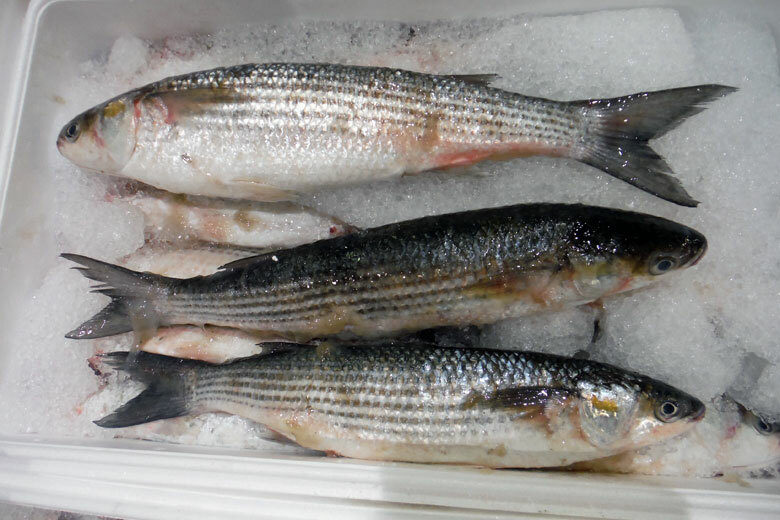 Grey mullet (above) is a fine healthy-looking fish with characteristic dark stripes along its silvery body to set it apart from its marine contemporaries. One of the finest nurseries for this fish is along the south coast, and today’s arrivals are from the day boats out of Brighton. Caught in the afternoon they are on the market first thing the next morning. They are cheap, meaty and nutritious – but there’s no need to rush, as there will be plenty around until the close of season in February. 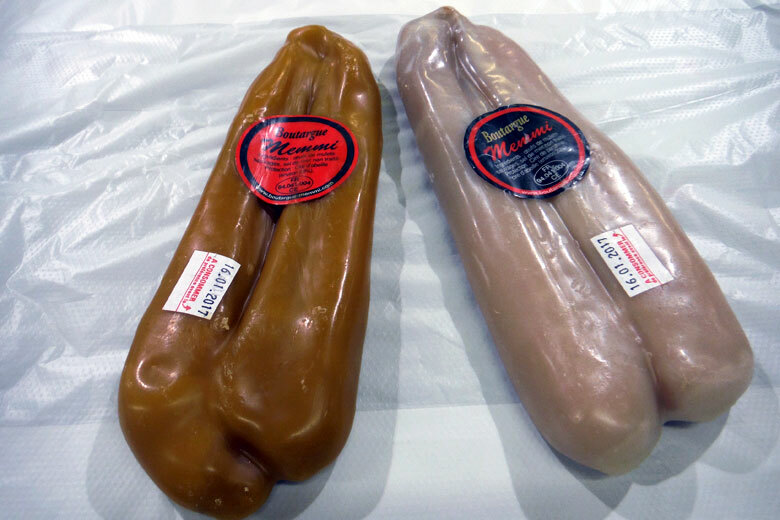 Causing a bit of a stir in the gourmet world is salt-and-honey-cured grey mullet roe (above). Cured and then sealed in wax to retain its deep flavour, this is a real delicacy that can be finely sliced, grated or simply sprinkled on to various dishes to add richness and texture. Traditionally from the Baltic states, the examples on the market today are from France. This epicurean treat is starting to attract the same kind of attention as good quality caviar; it’s readily available, but you will need deep pockets. Chinchard (above) is not a familiar name to most people. 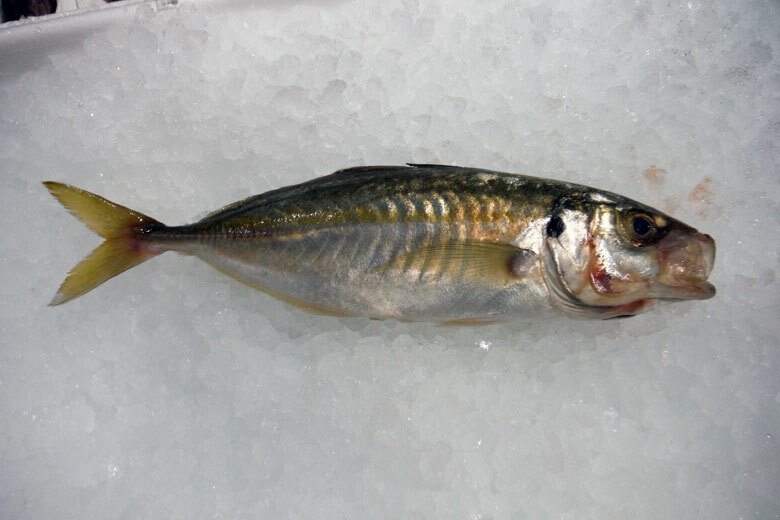 Closely related to mackerel, it’s a pelagic fish found in the warmer waters of the Mediterranean Sea around Greece and the southern Turkish fishing grounds. Its flesh is soft and full of flavour, and packed with the essential Omega-3 oils and nutrients necessary for a well-balanced diet. Far from expensive, it’s a good buy at present. 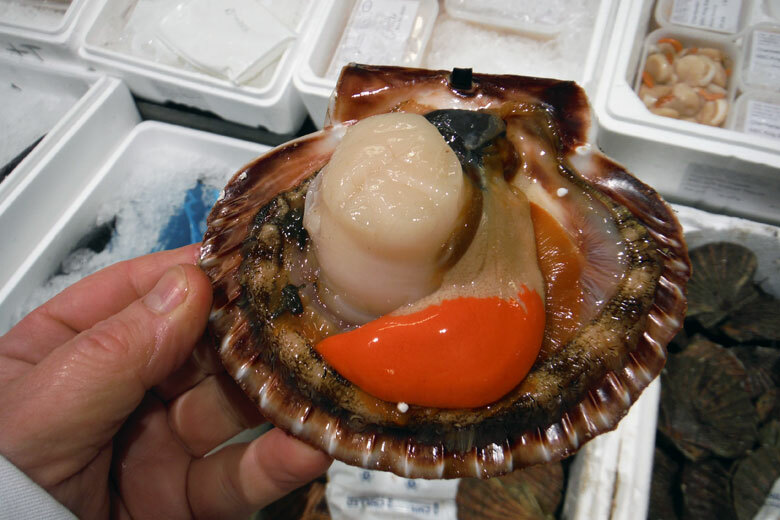 Finally, I must mention the enormous hand-dived scallops (above) fresh in from the west coast of Scotland that we will be sampling for breakfast today. The meats (below) are so large that they would fill a small saucer: just two or three would make a fabulous main course. The only place you can get these at the moment is here at the market, so come and have a look for yourself. 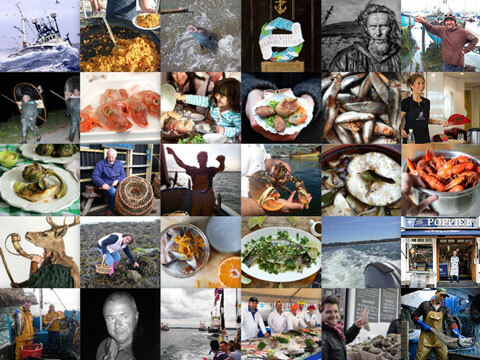 Everybody is welcome to browse and spend a few pounds on some of the finest seafood that our oceans have to offer – but remember, you need to be here early!